The continued advance of the longest bull market in U.S. stock market history has helped drive pension plan funded ratios higher. 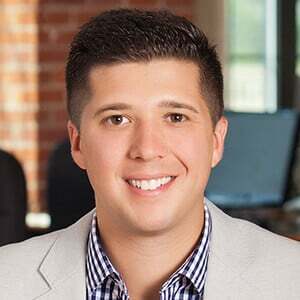 Even so, most plans remain underfunded, leaving their sponsors grappling with two often contradictory pressures: managing risk—especially with equity valuations high—while simultaneously seeking to grow assets. 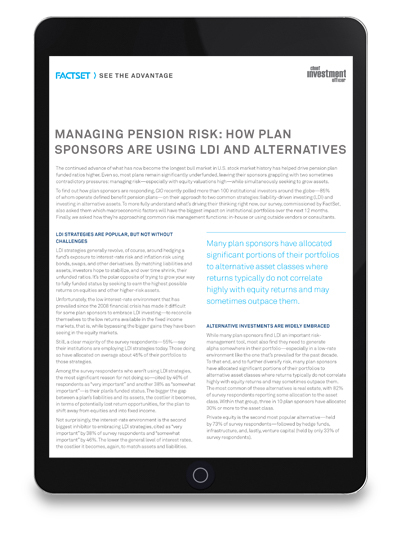 In our eBook, Managing Pension Risk: How Plan Sponsors are Using LDI and Alternatives, we work with CIO magazine to poll more than 100 institutional investors—85% of whom operate defined benefit pension plans—on their approach to two common strategies: liability-driven investing (LDI) and investing in alternative assets. Copyright 2019 FactSet Research Systems Inc.